Welcome to the sought after Community of Concord Station. 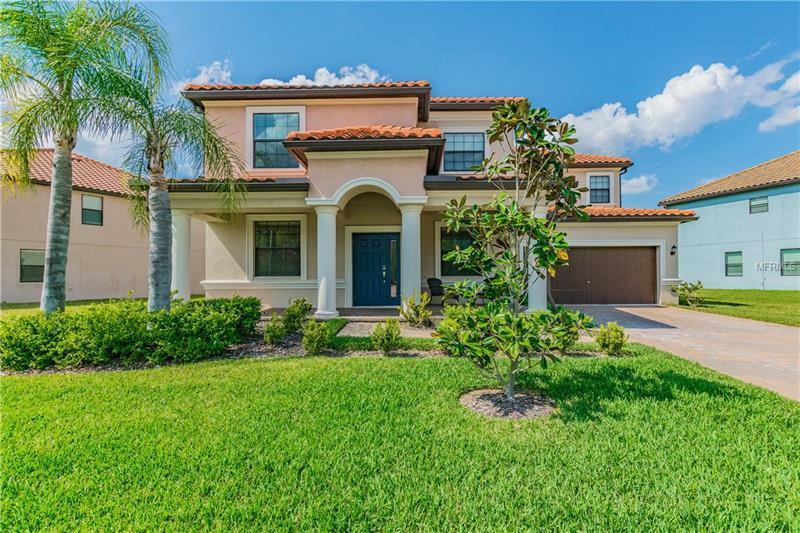 This home exemplifies privacy tranquility and scenic POND views located on a cul-de-sac street bordering a beautiful nature preserve. Enjoy grilling out with no neighbors behind and no thru traffic the perfect quiet setting for a growing family. This IMPRESSIVE home features just under 4300 heated sq ft 6 bedrooms 4 full baths & a 3 car tandem garage. This home features diagonal set tile on the first floor & crown molding throughout!! The kitchen overlooks the family room w/large island breakfast bar stainless appliances all wood expresso colored cabinets an undermount sink recessed lights & walk-in pantry. The HUGE Master Bedroom is upstairs has its OWN PRIVATE BALCONY OVERLOOKING the pond and treed views and includes a large walk in closet for all your fashion needs & a sitting area for unwinding at the end of the day! There is a LARGE bedroom downstairs with a FULL BATH perfect for guests or in laws! The 3 bedrooms upstairs are all oversized with nice size closets. The upstairs bonus room is perfect for a movie or playroom. Driveway has beautiful sealed pavers as well pavered front porch. Also a great home for multiple vehicles with a 3 car tandem garage and HUGE driveway!! Concord Station has Mature Landscaping and a spectacular Amenity Center that includes a Swimming Pool Playground for the kids Basketball and Tennis Courts Indoor Billiard s Room and over 5000 Sq. Ft. of usable Clubhouse space.